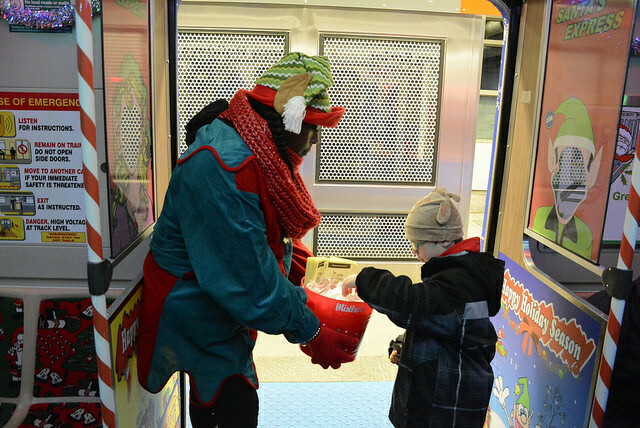 CTA has announced the Red Line Holiday Train schedule for Tuesday, December 15th through Friday, December 18th. It will run on the Red and Purple Lines on Saturday, and the Red Line on Tuesday, December 22nd, and we'll post those schedules when the CTA puts them online. The train is scheduled to leave Howard going southbound at 2:43. It will get to Argyle at 2:57; Lawrence at 2:59; Wilson at 3:00; and Sheridan at 3:02. It will make the loop around downtown, and coming northbound, it's scheduled to be at Sheridan at 5:13; Wilson at 5:15; Lawrence at 5:16; and Argyle at 5:18. The train is scheduled to leave Howard going southbound at 4:07. It will get to its next stop, Belmont, at 4:20. No stops, but it will come through Uptown between those times. The train is scheduled to leave Belmont going northbound at 5:10. It will get to its next stop, Howard, at 5:25. No stops, but it will come through Uptown between those times. The train is scheduled to leave Howard going southbound at 3:13. 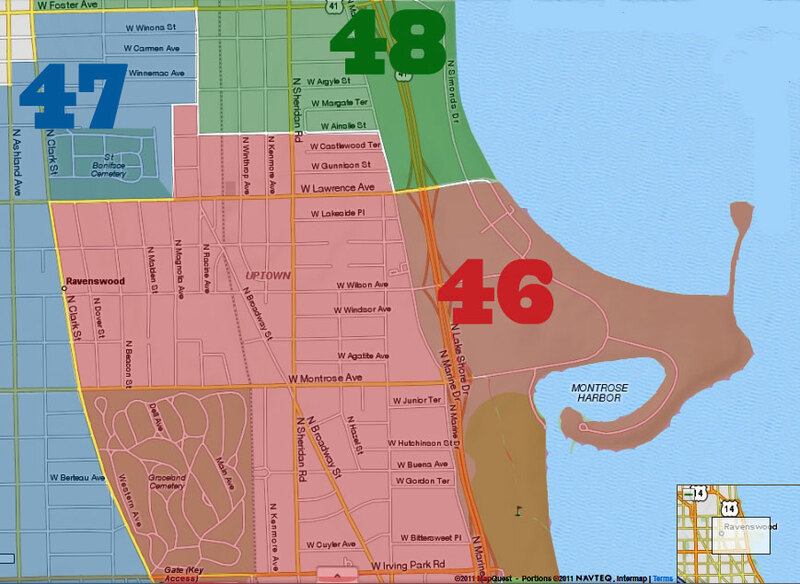 It will get to Argyle at 3:27; Lawrence at 3:29; Wilson at 3:30; and Sheridan at 3:33. It will make the loop around downtown, and coming northbound, it's scheduled to be at Sheridan at 5:39; Wilson at 5:42; Lawrence at 5:43; and Argyle at 5:45. The train is scheduled to leave Howard going southbound at 4:35. It will get to its next stop, Belmont, at 4:49. No stops, but it will come through Uptown between those times. The train is scheduled to leave Belmont going northbound at 5:38. It will get to its next stop, Howard, at 5:53. 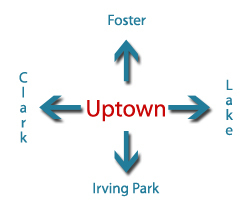 No stops, but it will come through Uptown between those times. Remember the CTA's advice about picking it up at one of the terminal stops, and getting in a car not in the center of the train to be able to enjoy it fully. The entire schedule is here.